I know it is near blaspheme for some of you to start celebrating Christmas before Thanksgiving (not sure why but some people become so upset!). Usually I can’t resist turning on some Christmas music or sneaking in a Hallmark movie, but this year Thanksgiving is so late that I decided to abandon pretense and start my celebrations early (or on time really). I will have 2 Christmas trees this year. One in my room and the main room. I have set up the one in my room and the other one will be delivered next week. 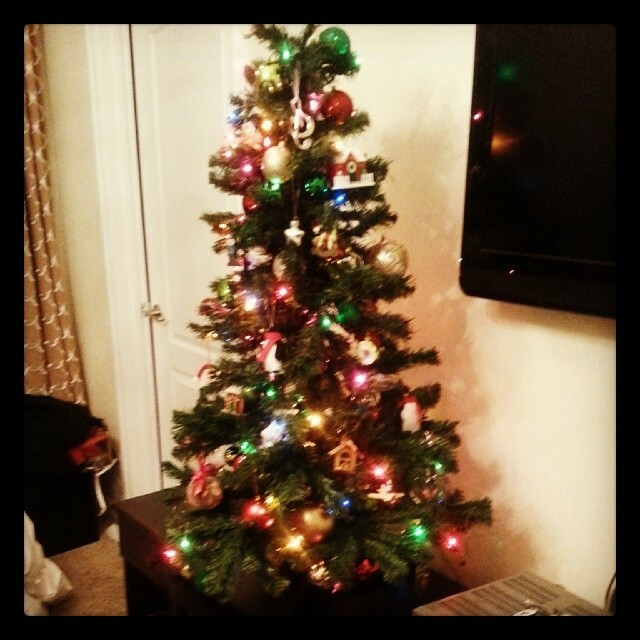 My fake tree had 3 sections of bad lights so I decided to do something different and get a fresh tree. My family always got a fresh tree but I’m usually gone so much in December that it didn’t make sense. This year my family is coming to Utah so I could go fresh! I am also going to get my tree delivered to my door from Five Star Christmas Trees which I’m very excited about. They are even going to set it up and pick it up which is great because I’m only one person and trees are big! I will post a photo of the fresh tree when it is finished. I have memory trees with photos and ornaments from all over my life. This year I have a temple square, nanowrimo, disneyland, new home ornaments. I also learned how to decorate a tree on my mission. You put the ornaments on in 3 layers balls in the very back, then filler a little closer, unique special ornaments out front. The balls and filler can be a color theme but then I like the special ornaments to be special and a little pop of different colors. 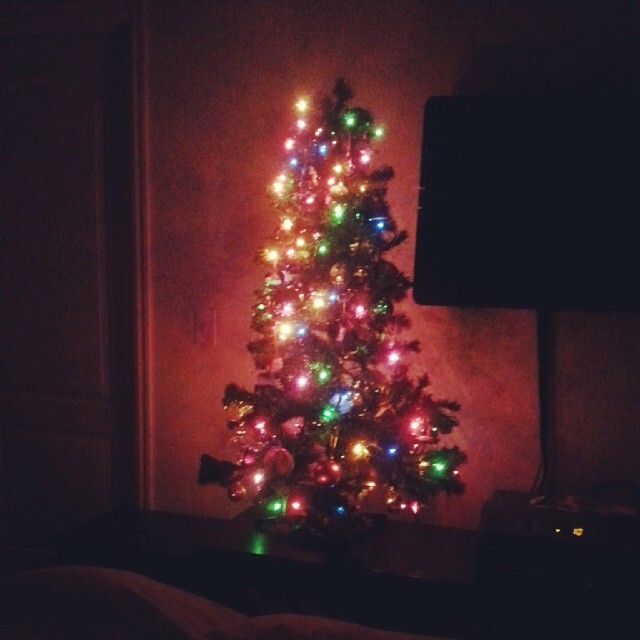 Isn’t it fun to have a Christmas tree in a bedroom! I highly recommend it. I have also been busy adding decor around the house and on the outside (quite the task I might add). I’m greatly proud of it! This took me like an hour. I know it doesn’t look like it but it did! So fun! I usually don’t like things that are too kitschy but I liked these large christmas border. So fun! 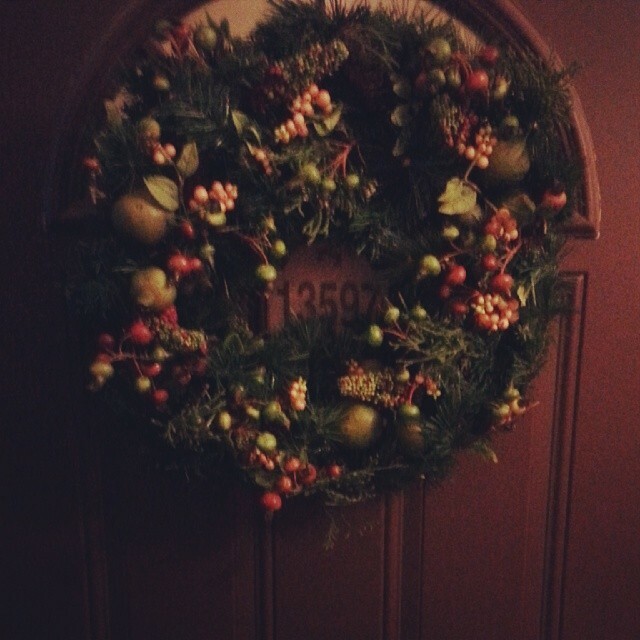 I’ve had this wreath for 5 years and it still looks great! 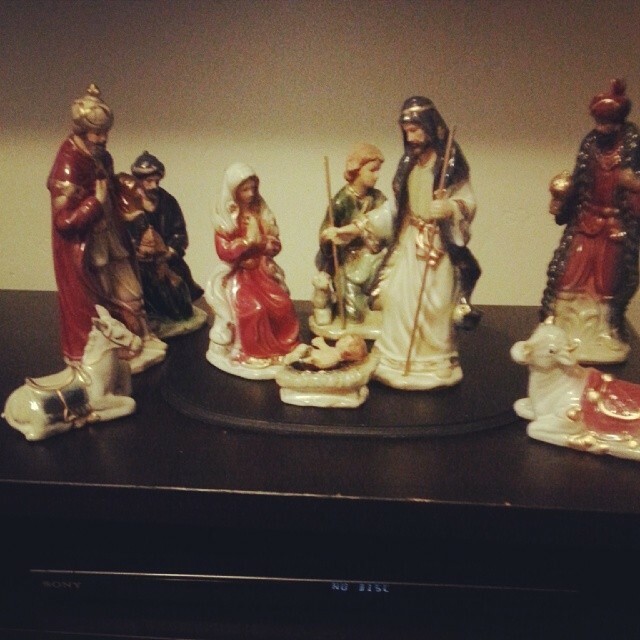 I think this nativity cost me $15 but I really like it. So there you have it! Are any of you preparing for Christmas or are you waiting? 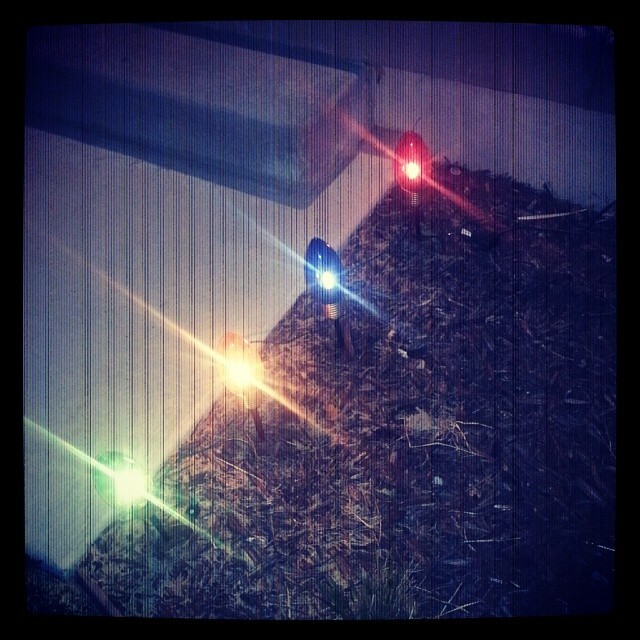 What traditions make your holidays unique? My friends who celebrate Hanukkah they are combining Thanksgiving and Hanukkah which is super fun. Check out the http://thanksgivukkah.wordpress.com/ for recipes and ideas. There are a lot of things I’d like to try down the road. Yum! 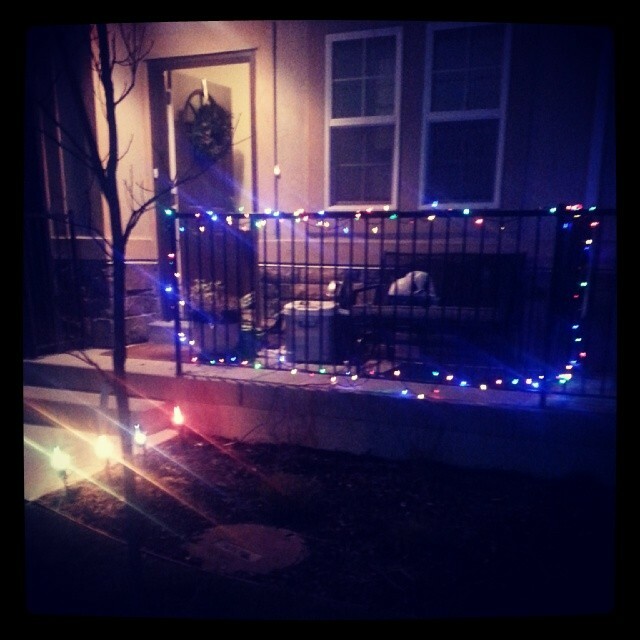 I love my Christmas house! Christmas decor not up yet, as my daughter does that for me, but I finished my shopping back in October, and completed the wrapping-up a couple of weeks ago. For years I’ve shopped by mail year-round for birthdays and Christmas (I mostly give…BOOKS! what else?). Some folks were incensed when I announced that gifts were done, but they live a thousand miles away (and they’re not on my list, anyway). No reason you need a big tree and mine varies from year to year. It’s the remembrance of the Savior that is of course the most important.